App analysis done through mobile app KPIs is vital for authentic mobile app development process and endeavoring authentic app marketing strategy. Let us start from a very famous line from the movie Shawshank Redemption “Hope is a good thing, perhaps the best thing and no good thing ever dies”. You must be wondering what a Hollywood film dialogue is doing in a core technical article. The reason is simple, the expansion and innovation of mobile apps. We all know the splurge of mobile apps in the market and how they have become a household name over the last few years. The hope that they give to the businesses and the market had made them the good thing and we all know a GOOD THING NEVER DIES. However, the perks, conditions and methods, mobile app development has changed over the years has increased its efficiency by many folds. The core activity at the App Store is just considered as the start of the journey. KPIs or Key Performance Indices are the most optimum way to get the best insights of the app, optimize it and generate the maximum amount of revenue. 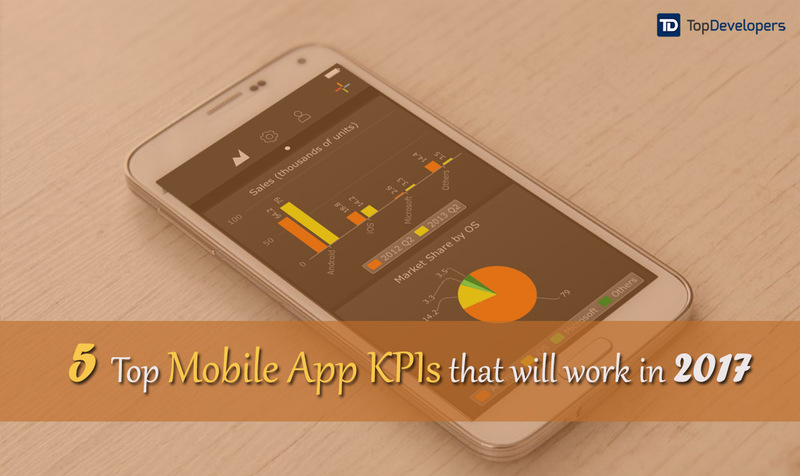 In the present situation, mobile app KPIs are utmost essential for a successful business venture. Mobile app KPIs are equally essential for marketers who are under pressure to grow their business, craving to build a sustainable user base and generate the maximum possible ROI. In addition to this, special care should be taken on the app engagement front as the competition here is intense, but if treated properly gives the most vital opportunity to add on to their mobile app revenue. Given that the significance of mobile app KPIs is huge, let us have a look at those who will rule the roots in the coming year. An average app session means the time spent by the users daily on the mobile app defines its daily activity. In the aspect of mobile app marketing, this KPI becomes important as it shows the number of unique users that engage with your product each day. This app analysis is the clear indicator of the interest the app or the product is receiving each day. The mobile app KPI will help the developers to adjust actions according to the mood and suggestion of the users so that the number of people who sign in will show more interest in the app. It is the ultra-consistent sign of the app pulling users and doing a mighty great job for the developers and the company. App analysis clearly shows that not all the acquired users use the app in a similar manner. 2017 will be the year that will show that quality metrics matter when it comes to the user acquisition of the app. The mobile app development nowadays does not really rely on app engagement alone as 25% of the users just use their app only once before they leave. However, improvised mobile app KPIs related to app acquisition will help in targeting the users in a more authentic and improvised manner. They help the marketers to differentiate between the good and the bad users by analyzing data coming from different traffic sources. This, in other words, can be called as attribution marketing and will track all the pain points that will lead your app in acquiring a loyal user. The potential app analysis done by this KPI will comprehensively track cost per monetization and the retention rate of the app by the day. Once the user has installed your app into his/her device, it’s important to see how many daily launches your app receives. Daily app launches show that how many times a user has opened the app on a given day. The process of mobile app development concentrates keenly on creating such specification that will compel the user to use their app multiple times on a given day. The marketers also can relish this opportunity and include such kind of app into their app marketing strategy. 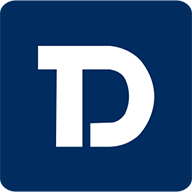 Daily app launch is vital for indicating the app’s success ratio. The developers and the marketers can pay attention to this and figure out the fluctuating numbers in a week or so in order to find out they way people interact with the app or product. The app marketing strategy can be modified according to the traffic the app receives on a particular day, for example, you can schedule a flash sale on Thursday if it shows the maximum number of users. Also Read: Are your mobile and app KPIs measuring up? An authentic daily app launch KPI will allow the marketers to make their maximum effort in the correct direction and get rich dividends from it. In order to measure the actual profitability of the app, the app KPI’s that indicate revenue should be the best and the most authentic one. The revenue indicator measures the active user base of your app and shows that better number of engaged users lead to better sales. They are used to measure the actual money coming in from the app and indicate that improved methods of app engagement can have positive effects on the revenue numbers as well. The biggest asset of this KPI is that it correctly shows the LTV (Lifetime value) of the app. As the name itself suggests, LTV will show the value of the user over the entire usage period of the app. This metric is highly valuable for the process of mobile app development and app marketing as it helps in noticing the points that are most valuable to the user and can be the appropriate ally in improving the mobile app retention rate. The process of mobile app development nowadays focuses on including multiple features so as to attract a major number of customers from different prospects. Therefore, they have a huge number of screens and thus it becomes important to know the number of time spent by the user. The number of screens per session KPI will give the detailed information about the aspects that the users like the most and get interacted with them on a regular basis. This mobile app KPI is majorly important for making app marketing strategies as the marketers will understand which screen is visited the most so that they can strategically plan their in-app purchases according to that. Moreover, app usage session will give improved and better user experience (UX) and generate high revenue for the mobile app. Thus, KPIs are so very important for the success of the mobile app as they help in measuring and understanding the effectiveness of the app and how effectively it can be optimized to boost the user-base and bring it on the top of its category.